Plant-based food sales continue to skyrocket as consumers clamor for more nutritious options that protect their health and the health of the environment. 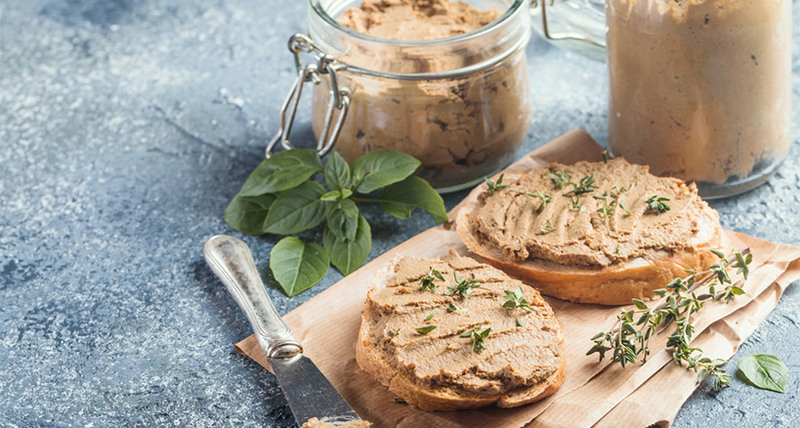 With sales of meat declining and the popularity of meat alternatives growing, restaurants big and small, as well as major corporations and leading food brands, are rising to the occasion and adding entire lines of plant-based products to their menus. Read on for practical and tasty ideas on how to satisfy your customers’ cravings and cash in on this lucrative opportunity. 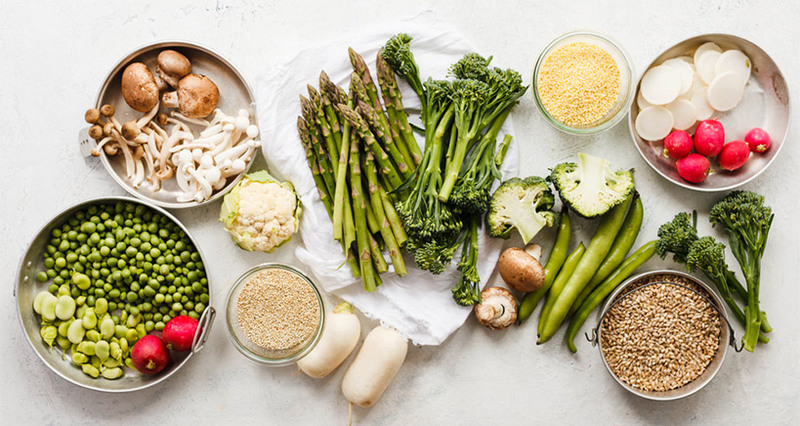 While the trend towards vegan, low-calorie, low-fat, non-dairy foods has been around for a while, the plant-based food market has recently picked up steam. On top of being strictly vegetarian, gluten-free, and lactose-free, new additions to this group include protein-friendly alternatives such as grass-fed beef, natural chicken, sustainable salmon, quinoa, non-genetically modified (non-GMO) tofu, and other new products which fall under the categories of meat and dairy alternatives. As for pizza lovers, you can tantalize their taste buds and attract their business with palate-pleasing gluten-free pizza topped with meat-free pepperoni. In doing so, your restaurant will in fact be following in the footsteps of some of the biggest names in the biz who now offer vegan pizza alternatives. These include Dominos, Papa John, Pizza Hut, and more. Let’s start with an understatement – catering is a competitive business. In reality, it’s among the most competitive industries that one can enter. 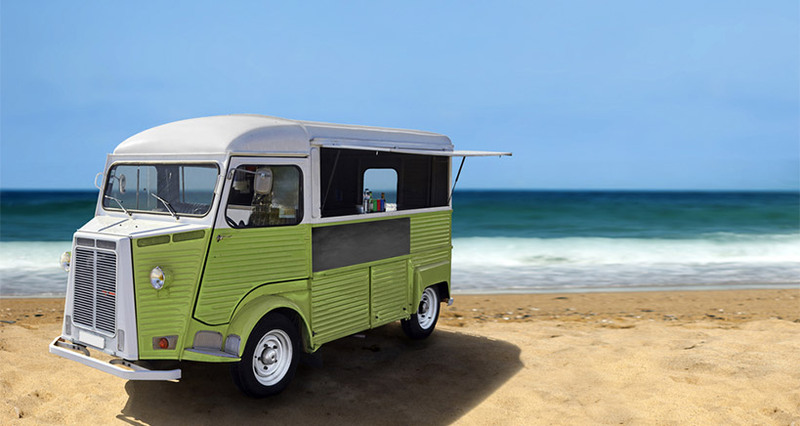 Starting a catering business means going head to head with dozens of other caterers in your area (and many who are farther afield), all of whom are trying to get a slice of the catering pie. As we’ve said before, in order to stand out from the crowd, you have to put in hours of effort not only to make your food and service rise to the top of the crowded field, but to market your business so that your name and reputation will precede you. Here, then, are some ideas that can help you sell your business in the best and most effective way possible. A good cater needs to be a people person, and making a personal connection is a vital way to keep your name active and well known. Networking in a hands-on way – and not only through the virtual relationships of social media – is of vital importance. 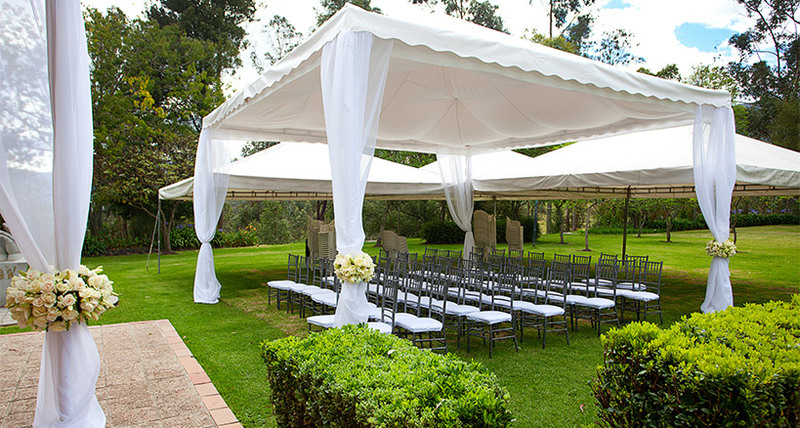 The trick is to stay in touch with everyone who can help you and your business – wedding planners, managers of local country clubs, bridal-shop owners, etc. Putting yourself “out there” is an essential component of your marketing strategy in a business where shyness and reticence is a serious hindrance to success. Many catering trends come and go, but some are here to stay. Buffets, for instance, never go out of style and they are, simply put, every caterer’s bread-and-butter. 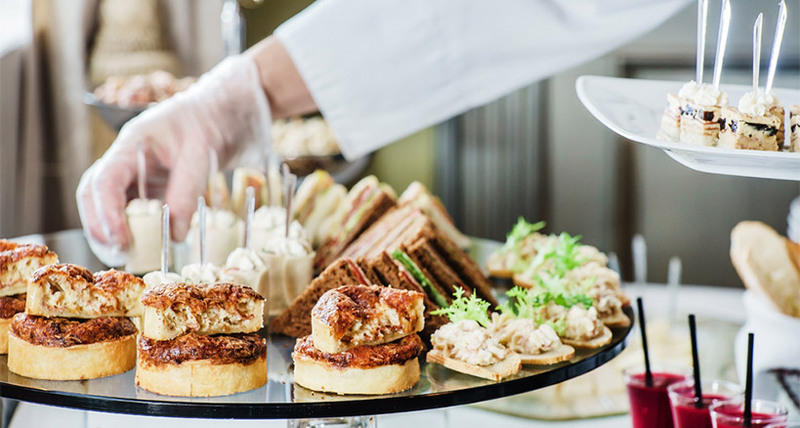 In a recent survey, the International Caterer’s Association (ICA) reported that over 40% of caterers said that their most popular service style was the buffet. But because buffets have become so popular and ubiquitous, caterers have to be as creative as possible when designing their buffet tables. Even if your food is fabulous, if you don’t present it with flair and panache, it won’t get the attention it deserves. If you view the buffet as not just an efficient way to feed people but also as a great opportunity to have some fun decorating, you’ll be more likely to get the positive response and feedback you want. Just think of the food as the star of the show (but don’t tell the guest of honor) and view the table as a stage. With the right set design, lighting, backdrop, and decoration, you’ll have a sure hit on your hands! After you’ve agreed on a menu with your client, think about how you want to display the fabulous offerings. Interesting trays, platters, bowls, and vessels will upgrade your buffet from ordinary to extraordinary. Make sure to use display items in different shapes and different heights. One of the easiest ways to create interest at your next catered buffet is to use risers and platforms of varying heights. 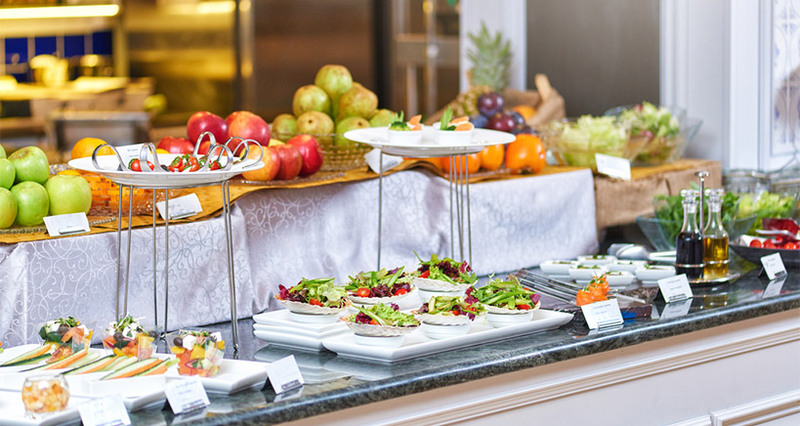 A buffet, say many leading caterers, is more attractive and exciting if guests’ eyes are drawn to different levels. A dynamic presentation captures the imagination and, almost magically, causes guests to gravitate to the buffet table. With 2017 drawing to a close and 2018 upon us, it’s time to explore the upcoming trends in wedding food. 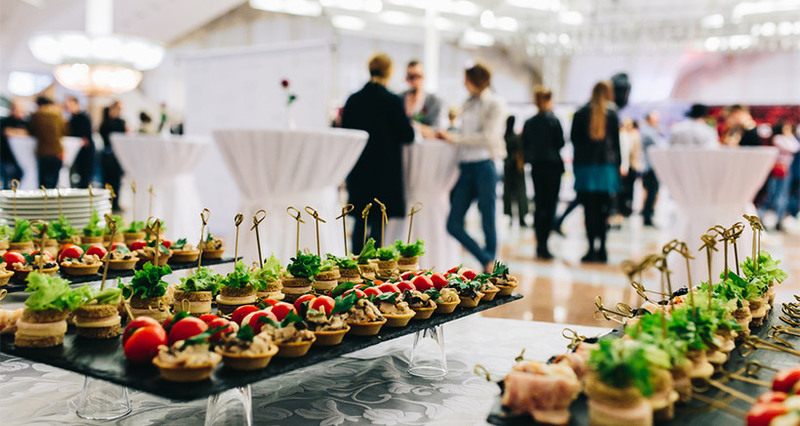 Successful caterers and event planners have to be at least one step ahead of the crowd when it comes to trends since before you know it, the next best thing will become the trend that everybody must have. The last thing you want is to be left behind when it comes to keeping up with the latest wedding culinary ideas and innovations. 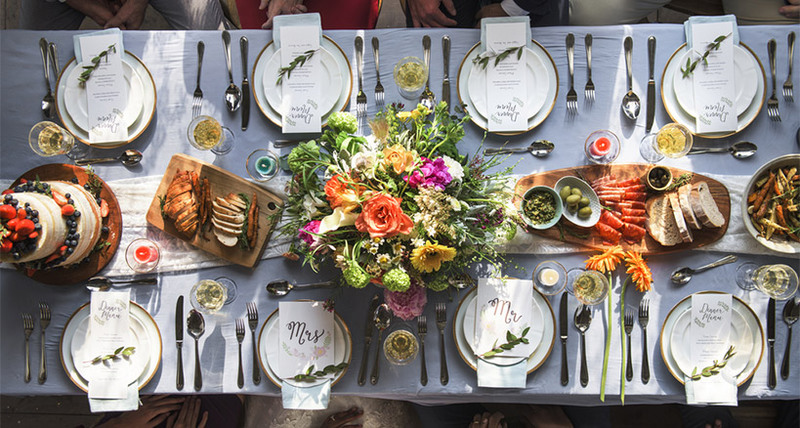 Wedding trends cover all the elements of a special event – from décor to flowers to attire; but, as a caterer you want to focus on food trends because that’s what affects your business. Food trends cover the entire meal – from hors d’oeuvres for the reception, to drinks at the bar… onto the main meal and, of course, the dessert buffet. Wedding food trends tend to sweep the industry like a brushfire, and only those who don’t have their fingers on the pulse will get caught unawares. A chafing dish (from the French word, chauffer, which means “to make warm”) is a portable and essential piece of equipment in the food industry. For catering businesses, the chafing dish is the foundation of any food presentation. They are also essential in restaurants that specialize in buffets with hot dishes. Chafing dishes (a.k.a. chafers) are made to keep food warm – from two to six hours – and they are the most affordable and convenient way to heat your delicious buffet items. What is a Chafing Dish? A chafing dish is a multi-layered apparatus: it uses chafing fuel to heat a large, shallow pan of water, which in turn heats a pan of food above it. The food in the pan stays hot, and the indirect heat, along with the water, keeps it from scorching or drying out. 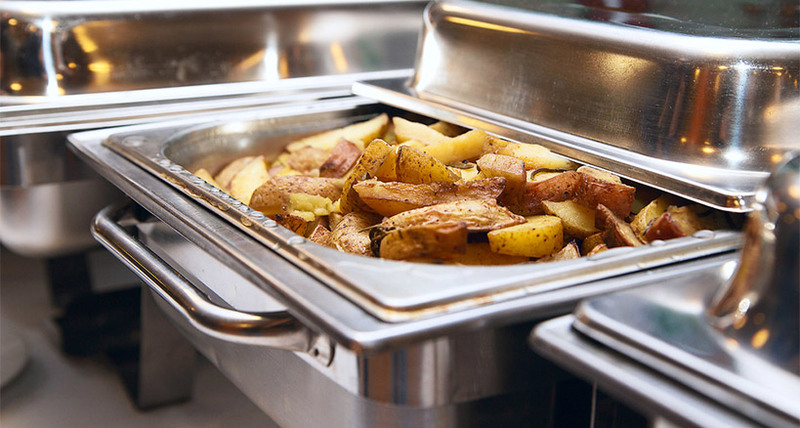 Electric chafers and induction chafers are other types of chafing dishes that don’t use fuel, but still use water as a medium to transfer heat, and are great for permanent buffets (like in restaurants). Earlier, we discussed the first steps you should undertake before launching a new catering business. These steps included researching the local competition, finding a niche for your business, identifying potential customers, and writing a business plan. In addition, we discussed contacting your state’s occupation licensing authorities and health department to find out exactly what you need (the National Federation of Independent Businesses website can help you in that regard). With those preliminary actions under your belt, you’re ready to move on to the next and more enjoyable stages: planning your enterprise. Creating a catering menu will help you figure out how much kitchen space you’ll need, what appliances you should buy and install, and how much you can expect to bring in financially. Base the menu on your specialties and what your targeted market niche wants on its plate. Price the items so that you stay competitive but still make a profit. Pricing, always a challenge, is especially difficult for those just starting out. In general, prices are determined by the time it takes to prepare the dish, plus the cost of the ingredients, plus the profit margin you’re aiming for. Keeping your menu a manageable size, with foods you’re comfortable cooking and items that are made with ingredients you know you can source, are your best options for creating a realistic menu with fair pricing. As a caterer/event planner you have to balance your skills as a chef with your business acumen. 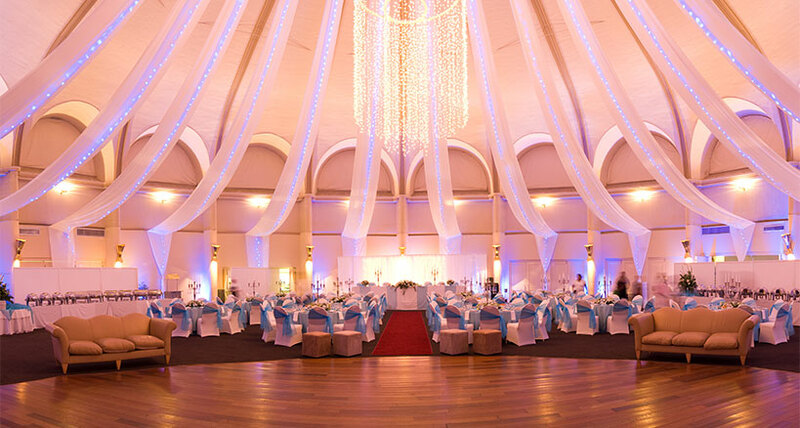 Booking new business is obviously an important aspect of developing your company, but it’s particularly complicated in today’s event industry where costs are rising and clients are often looking for ways to cut back on expenses. Do-it-yourself (DIY) events are becoming a popular route for budget-conscious people, but it’s up to the business-savvy party planner to convince potential clients that some things are better left to the professionals. In the Harvard Business Review, author Michael Schrage explains how you can guide clients in the direction of a smart decision by allowing them to persuade themselves. Professional service firms, he says, should look for ways not just to better communicate the value of their work, but to give people the tools that let them sell themselves on the firm’s value. When a potential client is on the fence regarding professional services vs DIY, the hard sell is not the way to go. Don’t shower the customer with ominous warnings and bleak scenarios. Present all the angles of the upcoming event, along with something as simple as a colorful, well-organized, self-explanatory cost-comparison chart, and watch your clients draw the right conclusions by themselves.